Perfect for those who are never content with sitting still, the Toyota Corolla Hatchback offers outstanding versatility to help you make the most of your weekend. Lightweight and low to the ground, this energetic hatchback will reinvigorate your commute with precision handling and nimble agility. Its practical design is perfectly complemented with sporty styling accents including available 18-inch alloy wheels, LED headlights, and a chrome tailpipe diffuser at the rear. Its 2.0L Dynamic Force engine gets your adrenaline pumping and can be paired with a Dynamic Shift-CVT with paddle shifters or an available 6-speed Intelligent Manual Transmission (iMT). The Corolla Hatchback also features a premium interior that’s packed with soft-touch materials along with piano black accents for additional refinement. You can opt for available heated seats which feature distinctive contrast stitching which add to the performance-inspired feel of the cabin. Sitting atop the dashboard is a stunning 8-inch multimedia touchscreen display which features a customizable homepage for all of your favorite apps. Standard Toyota Safety Sense 2.0 provides a helping hand when you need it most to keep you protected from the unexpected behind the wheel of your Corolla Hatchback. Scores 38 Highway MPG and 30 City MPG! This Toyota Corolla Hatchback boasts a Regular Unleaded I-4 2.0 L/121 engine powering this Variable transmission. Wheels: 18 Bright Machined Finish Aluminum -inc: dark gray metallic paint, Variable Intermittent Wipers, Trip Computer. * This Toyota Corolla Hatchback Features the Following Options *Transmission: Dynamic Shift CVT -inc: paddle shifters, Tires: 225/40R18 All-Season, Tire Specific Low Tire Pressure Warning, Tailgate/Rear Door Lock Included w/Power Door Locks, Strut Front Suspension w/Coil Springs, Steel Spare Wheel, Sport Tuned Suspension, Single Stainless Steel Exhaust, Side Impact Beams, Seats w/Leatherette Back Material. * Visit Us Today *For a must-own Toyota Corolla Hatchback come see us at Germain Toyota, 5711 Scarborough Blvd, Columbus, OH 43232. Just minutes away! TOYOTA SAFETY SENSE 2.0 (PRE COLLISION SYSTEM, AUTO HIGH BEAMS, FULL SPEED DYNAMIC RADAR CRUISE CONTROL, LANE DEPARTURE ALERT W STEERING ASSIST, LANE TRACING ASSIST, BLIND SPOT MONITOR, ROAD SIGN ASSIST), XSE PKG, ENTUNE 3.0, APP SUITE, DYNAMIC NAVIGATION GPS, 8 TOUCHSCREEN, SIRIUSXM, BLUETOOTH, APPLE CAR PLAY, DUAL ZONE CLIMATE, HEATED SEATS, LEATHER INTERIOR, PWR DRIVER SEAT, SMART KEY/PUSH BUTTON START, REAR WINDOW SPOILER, DOOR EDGE GUARD, REAR BUMPER APPLIQUE, REAR WINDOW SPOILER, BODY SIDE MOLDINGThis 2019 Toyota Corolla Hatchback offers the classic reliability and affordable design as years past with a versatile hatch and modern safety advancements. Leather interior features heated front sport seats with a power adjustable driver seat, dual zone climate control and rear seats that split and fold. The audio system includes Entune 3.0, Apple CarPlay, app suite access, SiriusXM, Bluetooth for connecting to your compatible device, and a back up camera for accident prevention. Toyota Safety Sense 2.0 provides advanced safety features such as the emergency braking, pre-collision system, auto high beams that adjust to oncoming traffic, full speed range dynamic radar cruise control that adapts to the flow of traffic and lane departure with lane keep assist for maintaining your lane, lane tracing and road sign assist maximizes lane keep assists effectiveness and the blind spot monitor with rear cross traffic alert for additional accident prevention. Additional features include push button start and smart key access.This vehicle is available for a test drive most days of the week, but we suggest reaching out to us beforehand to make sure it is out front and ready for you when you arrive. With several financing options and lenders available, we pride ourselves on providing quality vehicles that fit into your budget. 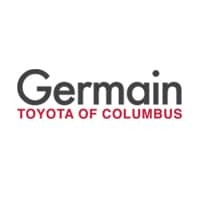 For our most up-to-date pricing and newly added inventory, please visit us at www.GermainToyota.net. We have sold to customers all over United States, and offer a seamless, professional process. Easily accessible just minutes from downtown on Scarborough Blvd, we also offer free airport pickup. Germain Toyota: The Right Car. The Right Price. The Right Way. **Deferred 1st payment for 90 days with approved credit through primary lender. 650+ Trans Union credit score required. Interest accrued during deferral. Cannot be combined with any other offer. Not valid with special APR financing or lease incentives. Valid now through 4/30/19. See dealer for details. *TOYOTA SAFETY SENSE 2.0 (PRE COLLISION SYSTEM, AUTO HIGH BEAMS, FULL SPEED DYNAMIC RADAR CRUISE CONTROL, LANE DEPARTURE ALERT W STEERING ASSIST, LANE TRACING ASSIST, BLIND SPOT MONITOR, ROAD SIGN ASSIST), XSE PKG, UPGRADE AUDIO (ENTUNE JBL PREMIUM AUDIO, ENTUNE 3.0, APP SUITE, DYNAMIC NAVIGATION GPS, 8 TOUCHSCREEN, SIRIUSXM, BLUETOOTH, APPLE CAR PLAY, QI WIRELESS CHARGING), DUAL ZONE CLIMATE, HEATED SEATS, LEATHER INTERIOR, PWR DRIVER SEAT, SMART KEY/PUSH BUTTON START, DOOR EDGE GUARDS, MUDGUARDS, 18 ALLOY WHEELS,This 2019 Toyota Corolla Hatchback offers the classic reliability and affordable design as years past with a versatile hatch and modern safety advancements. Leather interior features heated front sport seats with a power adjustable driver seat, dual zone climate control and rear seats that split and fold. The factory upgraded audio system includes Am/Fm/CD radio, Entune 3.0, Apple CarPlay, app suite access, SiriusXM, Dynamic Navigation so you are never lost, Bluetooth for connecting to your compatible device, and a back up camera for accident prevention. Toyota Safety Sense 2.0 provides advanced safety features such as the emergency braking, pre-collision system, auto high beams that adjust to oncoming traffic, full speed range dynamic radar cruise control that adapts to the flow of traffic and lane departure with lane keep assist for maintaining your lane, lane tracing and road sign assist maximizes lane keep assists effectiveness and the blind spot monitor with rear cross traffic alert for additional accident prevention. Additional features include push button start with smart key access and QI wireless phone charging.This vehicle is available for a test drive most days of the week, but we suggest reaching out to us beforehand to make sure it is out front and ready for you when you arrive. With several financing options and lenders available, we pride ourselves on providing quality vehicles that fit into your budget. For our most up-to-date pricing and newly added inventory, please visit us at www.GermainToyota.net. We have sold to customers all over United States, and offer a seamless, professional process. Easily accessible just minutes from downtown on Scarborough Blvd, we also offer free airport pickup. Germain Toyota: The Right Car. The Right Price. The Right Way. **Deferred 1st payment for 90 days with approved credit through primary lender. 650+ Trans Union credit score required. Interest accrued during deferral. Cannot be combined with any other offer. Not valid with special APR financing or lease incentives. Valid now through 4/1/19. See dealer for details. TOYOTA SAFETY SENSE 2.0 (PRE COLLISION SYSTEM, AUTO HIGH BEAMS, FULL SPEED DYNAMIC RADAR CRUISE CONTROL, LANE DEPARTURE ALERT W STEERING ASSIST, LANE TRACING ASSIST, BLIND SPOT MONITOR, ROAD SIGN ASSIST), XSE PKG, ENTUNE 3.0, APP SUITE, DYNAMIC NAVIGATION GPS, 8 TOUCHSCREEN, SIRIUSXM, BLUETOOTH, APPLE CAR PLAY, DUAL ZONE CLIMATE, HEATED SEATS, LEATHER INTERIOR, PWR DRIVER SEAT, SMART KEY/PUSH BUTTON START, REAR WINDOW SPOILER, DOOR EDGE GUARD, PAINT FILM PROTECTION, SPECIAL COLOR, REAR BUMPER APPLIQUEThis 2019 Toyota Corolla Hatchback offers the classic reliability and affordable design as years past with a versatile hatch and modern safety advancements. Leather interior features heated front sport seats with a power adjustable driver seat, dual zone climate control and rear seats that split and fold. The audio system includes Entune 3.0, Apple CarPlay, app suite access, SiriusXM, Bluetooth for connecting to your compatible device, and a back up camera for accident prevention. Toyota Safety Sense 2.0 provides advanced safety features such as the emergency braking, pre-collision system, auto high beams that adjust to oncoming traffic, full speed range dynamic radar cruise control that adapts to the flow of traffic and lane departure with lane keep assist for maintaining your lane, lane tracing and road sign assist maximizes lane keep assists effectiveness and the blind spot monitor with rear cross traffic alert for additional accident prevention. Additional features include push button start and smart key access.This vehicle is available for a test drive most days of the week, but we suggest reaching out to us beforehand to make sure it is out front and ready for you when you arrive. With several financing options and lenders available, we pride ourselves on providing quality vehicles that fit into your budget. For our most up-to-date pricing and newly added inventory, please visit us at www.GermainToyota.net. We have sold to customers all over United States, and offer a seamless, professional process. Easily accessible just minutes from downtown on Scarborough Blvd, we also offer free airport pickup. Germain Toyota: The Right Car. The Right Price. The Right Way. **Deferred 1st payment for 90 days with approved credit through primary lender. 650+ Trans Union credit score required. Interest accrued during deferral. Cannot be combined with any other offer. Not valid with special APR financing or lease incentives. Valid now through 4/1/19. See dealer for details. TOYOTA SAFETY SENSE 2.0 (PRE COLLISION SYSTEM, AUTO HIGH BEAMS, FULL SPEED DYNAMIC RADAR CRUISE CONTROL, LANE DEPARTURE ALERT W STEERING ASSIST, LANE TRACING ASSIST, BLIND SPOT MONITOR, ROAD SIGN ASSIST), XSE PKG, UPGRADE AUDIO (ENTUNE JBL PREMIUM AUDIO, ENTUNE 3.0, APP SUITE, DYNAMIC NAVIGATION GPS, 8 TOUCHSCREEN, SIRIUSXM, BLUETOOTH, APPLE CAR PLAY, QI WIRELESS CHARGING), DUAL ZONE CLIMATE, HEATED SEATS, LEATHER INTERIOR, PWR DRIVER SEAT, SMART KEY/PUSH BUTTON START, MUDGUARD, CROSS BARS, ADAPTIVE HEAD LIGHTS, REAR WINDOW SPOILER, ALLOY WHEELSThis 2019 Toyota Corolla Hatchback offers the classic reliability and affordable design as years past with a versatile hatch and modern safety advancements. Leather interior features heated front sport seats with a power adjustable driver seat, dual zone climate control and rear seats that split and fold. The factory upgraded audio system includes Am/Fm/CD radio, Entune 3.0, Apple CarPlay, app suite access, SiriusXM, Dynamic Navigation so you are never lost, Bluetooth for connecting to your compatible device, and a back up camera for accident prevention. Toyota Safety Sense 2.0 provides advanced safety features such as the emergency braking, pre-collision system, auto high beams that adjust to oncoming traffic, full speed range dynamic radar cruise control that adapts to the flow of traffic and lane departure with lane keep assist for maintaining your lane, lane tracing and road sign assist maximizes lane keep assists effectiveness and the blind spot monitor with rear cross traffic alert for additional accident prevention. Additional features include push button start with smart key access and QI wireless phone charging.This vehicle is available for a test drive most days of the week, but we suggest reaching out to us beforehand to make sure it is out front and ready for you when you arrive. With several financing options and lenders available, we pride ourselves on providing quality vehicles that fit into your budget. For our most up-to-date pricing and newly added inventory, please visit us at www.GermainToyota.net. We have sold to customers all over United States, and offer a seamless, professional process. Easily accessible just minutes from downtown on Scarborough Blvd, we also offer free airport pickup. Germain Toyota: The Right Car. The Right Price. The Right Way. **Deferred 1st payment for 90 days with approved credit through primary lender. 650+ Trans Union credit score required. Interest accrued during deferral. Cannot be combined with any other offer. Not valid with special APR financing or lease incentives. Valid now through 4/1/19. See dealer for details. TOYOTA SAFETY SENSE 2.0 (PRE COLLISION SYSTEM, AUTO HIGH BEAMS, FULL SPEED DYNAMIC RADAR CRUISE CONTROL, LANE DEPARTURE ALERT W STEERING ASSIST, LANE TRACING ASSIST, BLIND SPOT MONITOR, ROAD SIGN ASSIST), XSE PKG, UPGRADE AUDIO (ENTUNE JBL PREMIUM AUDIO, ENTUNE 3.0, APP SUITE, DYNAMIC NAVIGATION GPS, 8 TOUCHSCREEN, SIRIUSXM, BLUETOOTH, APPLE CAR PLAY, QI WIRELESS CHARGING), DUAL ZONE CLIMATE, HEATED SEATS, LEATHER INTERIOR, PWR DRIVER SEAT, SMART KEY/PUSH BUTTON START, MUDGUARD, CROSS BARS, ADAPTIVE HEAD LIGHTS, REAR WINDOW SPOILER, TRD AIR FILTER, ALLOY WHEELSThis 2019 Toyota Corolla Hatchback offers the classic reliability and affordable design as years past with a versatile hatch and modern safety advancements. Leather interior features heated front sport seats with a power adjustable driver seat, dual zone climate control and rear seats that split and fold. The factory upgraded audio system includes Am/Fm/CD radio, Entune 3.0, Apple CarPlay, app suite access, SiriusXM, Dynamic Navigation so you are never lost, Bluetooth for connecting to your compatible device, and a back up camera for accident prevention. Toyota Safety Sense 2.0 provides advanced safety features such as the emergency braking, pre-collision system, auto high beams that adjust to oncoming traffic, full speed range dynamic radar cruise control that adapts to the flow of traffic and lane departure with lane keep assist for maintaining your lane, lane tracing and road sign assist maximizes lane keep assists effectiveness and the blind spot monitor with rear cross traffic alert for additional accident prevention. Additional features include push button start with smart key access and QI wireless phone charging.This vehicle is available for a test drive most days of the week, but we suggest reaching out to us beforehand to make sure it is out front and ready for you when you arrive. With several financing options and lenders available, we pride ourselves on providing quality vehicles that fit into your budget. For our most up-to-date pricing and newly added inventory, please visit us at www.GermainToyota.net. We have sold to customers all over United States, and offer a seamless, professional process. Easily accessible just minutes from downtown on Scarborough Blvd, we also offer free airport pickup. Germain Toyota: The Right Car. The Right Price. The Right Way. **Deferred 1st payment for 90 days with approved credit through primary lender. 650+ Trans Union credit score required. Interest accrued during deferral. Cannot be combined with any other offer. Not valid with special APR financing or lease incentives. Valid now through 4/1/19. See dealer for details.